Soccer is simple: “Eleven players compete against 11 players, and Germany wins,” as former British soccer player Gary Lineker famously put it. As machines take our jobs and do them more efficiently, the “beautiful game” can teach us humans how to work and lead beautifully. The green pitch can serve as a blueprint for qualities we need in order to thrive in a workplace increasingly dominated by AI and automation. Unlike in other sports, soccer games can end in a draw. Some of these draws can smack like a victory, some like defeat. In this way, soccer is very much open for interpretation. In recent years, however, soccer has turned into a data play (purists have mocked it as “laptop coaching.”). But even this newly desired objectivity, backed up by technology, remains elusive. 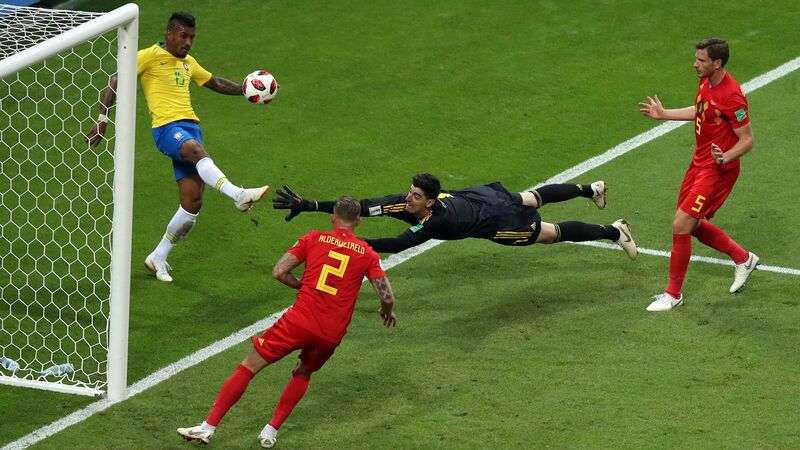 As the World Cup so far has shown, referee decisions—despite the introduction of a Video Assistant Referee—are still often confusing and subject to heated debates. As much as officials seek to make the game more objective, it stubbornly insists on being highly subjective. The best teams are aware of that, use it to their advantage, and move on after a controversial decision. In business, too, this kind of comfort with ambiguity is imperative. Given ever more volatile markets, complex environments, accelerated change, and fluid identities, tomorrow’s leaders will be distinguished not by how much certainty they can achieve, but how much uncertainty they can tolerate. An army of coaches and experts helps today’s professional soccer teams to prepare for their games, to find the perfect tactical formation, and exploit their opponents’ weaknesses. On the drawing board, it may all look good, but in reality, every game quickly turns into chaos. Researchshows that in spite of the most meticulous planning, goals are more or less the result of a string of random events; in fact, a match’s outcome is often about half skill and half luck. This makes soccer is thrillingly unpredictable, much more so than other sports. Structures are emergent, and players and coaches alike must constantly adapt their tactics on the pitch. Pep Guardiola, for example, the famed coach of British champion Manchester City, is well known for his quick interventions even just minutes into the game. It keeps with the maxim: A perfect game plan is helpful, as long as you’re willing to give it up. In soccer, getting the “second ball”—the deflected, erratic, unintended ball—is crucial. You can’t exactly predict where it is going to land, but you can anticipate it intuitively and ensure you’re fit for all probabilities. This is true for business, too: You never really know how the market or your customers will respond to a new product or service. It’s rarely the first shot that makes or breaks a launch. This may render traditional strategy obsolete: Gone are the days of three-year strategic plans or even six-month roadmaps. More and more activities occur ad-hoc in response to unexpected black-swan events. You can try to anticipate the conditions in which they might occur, but nonetheless the reaction will be improvised. That’s what soccer players are so good at. In order to respond on the fly, their situational awareness and peripheral vision must be exceptional. World-class midfielders like Croatia’s Luka Modric, for example, rarely have their eyes on the ball: Instead, they lift their head at all times so they can recognize vacant space as soon as it opens up, play a defense-splitting pass, and make one of those swift decisions that can decide a tie. Soccer players often say they had to “suffer” when the opposition was strong. For the fans, too, suffering is a source of passion (which comes from passio, the Latin word for suffering). The game ignites passion on and off the pitch, and it triggers and amplifies the full range of human emotions, from grief to suspense to euphoria (consider the Argentinian fan who after his team’s initial shock defeat against Croatia and following the tight win against Nigeria said he felt more than at his wedding). As fans, we can try to keep our cool, but sooner or later, the game will break down our armor and allow us to show how much we care. And while it is important that our team wins, what matters even more is howit wins—and also, how it loses. Fandom, like character, is formed in defeat, and the worst defeats are the fabric of fan folklore. In business, however, we play to win, winner takes all. But in the future, we’re going to start losing. In the face of automation, gig economy, and flexible work structures, we will lose the stability and continuity of traditional employment. We will lose authority in flatter and more decentralized organizations. We will enter and exit projects much faster and much more frequently. We will need symbols and rituals to help us cope with these losses and new beginnings, with managing the transitions between different projects, cultures, and identities. Our careers will no longer be linear: They will involve detours and digressions, friction, setbacks, and scars. We will have to reinvent ourselves again and again. This is exactly what the German team in Russia had failed to do. Victims of the innovator’s dilemma, the players seemed saturated and complacent. Most importantly, they lacked heart. In 2014, when the Germans won the World Cup after an impressive run, they shared a collective vision. Each player had visualized the desired moment of glory as a mental map in their minds. This year, however, the players seemed strangely emotionless, and the only image in their heads appeared to be that of an embarrassing early exit. With so much to lose, they had nothing to win, and the nightmare scenario became a self-fulfilling prophecy. This holds a lesson for us professionals: Only if we truly burn for something—a vision, an idea, or a project—only if we fall in love and make ourselves vulnerable, will we be inspired and able to inspire. In other words, the best way to thrive in the future workplace is to be a fan.